On Saturday we ate out for the first time in ages, sadly I had been glutened so often in the last year, I had almost given up on going out to eat. We decided to re visit a restaurant that we had eaten at twice before with no problems. 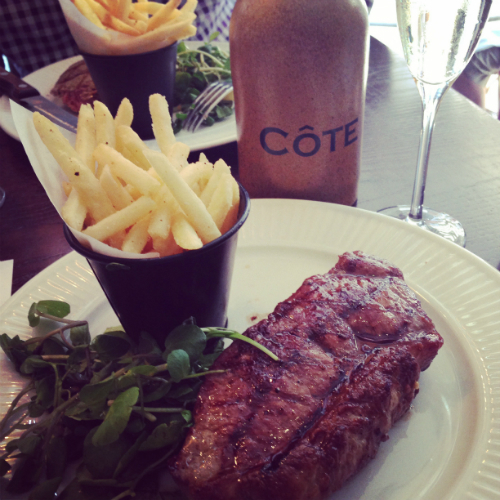 Côte Restaurants are all over the UK . 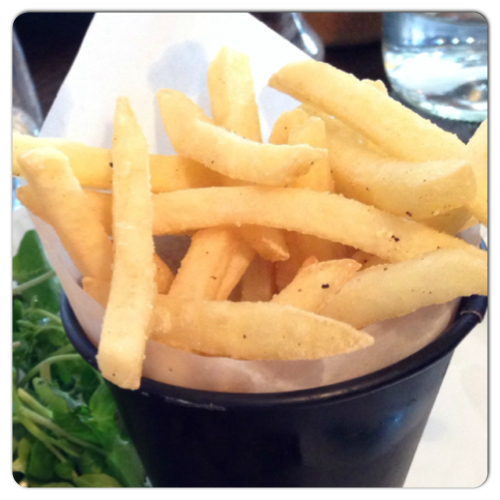 We chose to visit the Blackheath restaurant, in a perfect location looking onto the heath and church. Nathan the manager was quick to welcome us. I explained I was gluten free and he immediately returned with a gluten free menu. This was new as I hadn’t been offered this before, good to see! 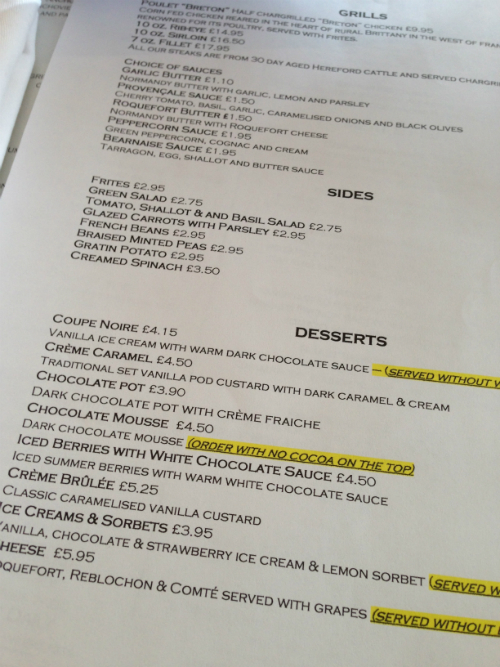 especially as there was a good choice for me, including a selection of puddings. I chose a Sirloin steak and frites with salad garnish as did my fellow diners. I cannot recommend the frites enough, they are really Very good, and cooked in a separate fryer. 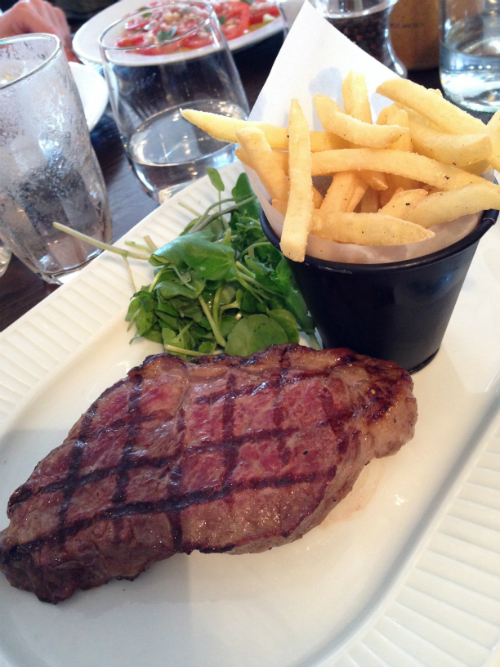 The food arrived quickly and my medium steak was perfect as were the frites. Sadly due to needing to make a quick get away to the theatre we couldn’t stay for a creme caramel. Maybe next time! 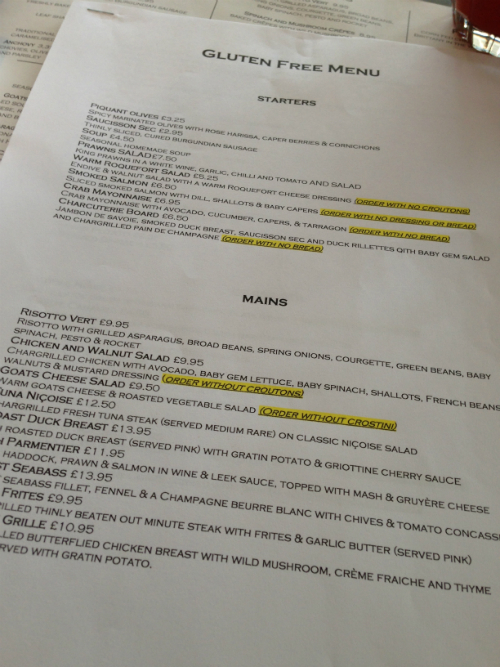 * Côte restaurant and Brasserie is now my Go To place to eat gluten free. Since writing this blog post I have been many times .